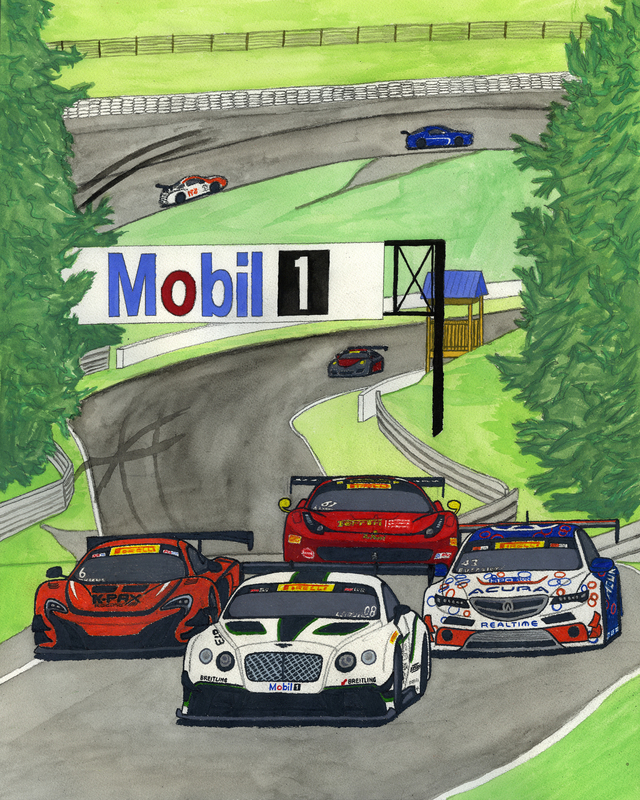 Following in tradition from 2014, I’ve created this event art piece for the coming Pirelli World Challenge event held at Canadian Tire Motorsport Park (Mosport). The art features some of the series most fantastic vehicles as they speed up the Andretti Straightaway from Moss corner. Don’t miss your chance to get your hands on these great event reprints; if 2014 was any sign the drivers and teams just love to autograph these! Available in 18×24″ size only.